The Asia Pacific Academy of Sciences, Science Education, and Environmental Management is inviting everyone who may be interested to attend this week’s public presentations concerning the CNMI archipelago’s corals and climate change. Two talks will occur this Wednesday evening, April 17, from 5:30pm to 7pm at the American Memorial Park auditorium on Saipan. 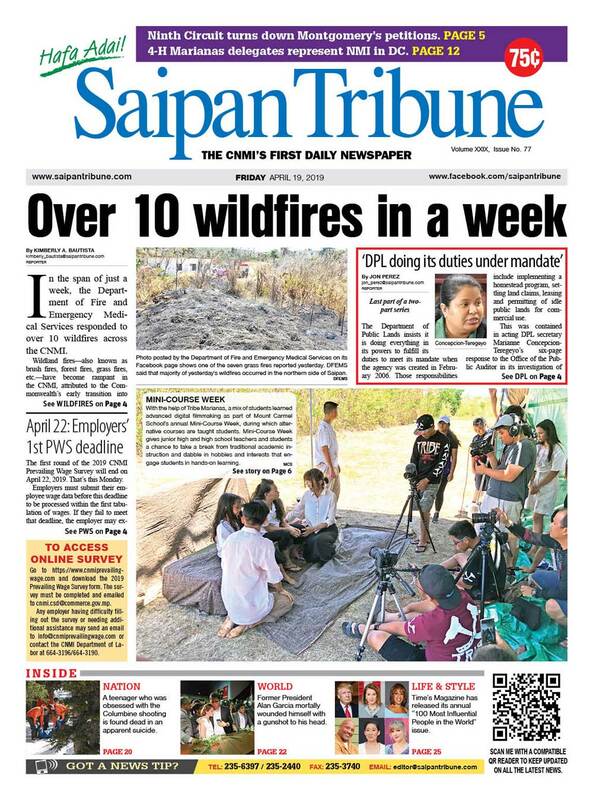 Saipan’s corals have taken a hit, but they are not gone by a long shot. Mass coral bleaching has killed some, but most survived and recovered. Most kinds of corals survived just fine. However, 3 genera had heavy mortality: about 90 percent of Acropora died, and two-thirds of Pocillopora and Stylophora died. Corals can recover from those levels of mortality, but it takes time, maybe around 10 years. Those that survived are likely more temperature-resistant than those that died. It is important to not let crown-of-thorns starfish eat them. It will also be better if there isn’t another mass bleaching event for 10 years or more. What can we do? Control crown-of-thorns, push society and governments to act on climate change, reduce other human impacts like fishing, sediments, nutrients, etc. From 2013 to 2017, the CNMI had four major thermal stress and mass bleaching events, resulting in large-scale coral mortality and changes in community composition across the archipelago. Surveys in 2018 revealed a 66-percent reduction in overall coral cover since 2012, with over 90 percent of Acropora spp. corals, 75 percent of Pocillopora spp., and over 90 percent of staghorn Acropora spp. corals lost. It has become clear that active conservation and restoration strategies are urgently needed to maintain coral populations and vital ecosystem functions. Coral colonies that have survived the four, near-onsecutive bleaching events in the CNMI have demonstrated resilience to thermal stress, making them ideal candidates for propagation, culturing, and outplanting to degraded reefs in the face of ongoing ocean warming and environmental change. NOAA Pacific Island Regional Office is working with local contractors and government agencies to establish a pilot ocean nursery for corals in the Saipan lagoon. This project, which is known as the “Saipan Coral Nursery Pilot Project,” represents the first effort to develop a coral nursery in the CNMI.